SSCOR Quickdraw - J.D. Honigberg International, Inc.
1. 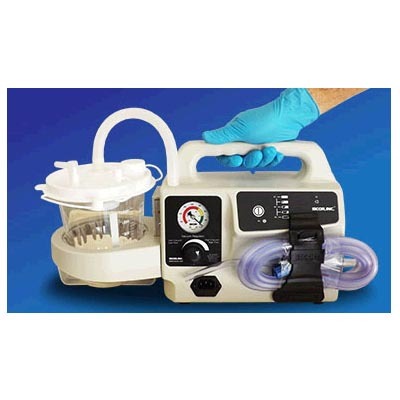 The ideal battery operated portable suction device to carry in your ‘first in’ kit and have on hand every time you are with the patient. 2. Weighs less than 3 pounds. 3. Powered by alkaline batteries or sealed lead acid batteries. 4. More effective than larger suction devices. The Quickdraw can function as an extremely efficient handheld suction or as a small, yet powerful and effective traditional suction pump. As a handheld device the Quickdraw is equally efficient no matter who the operator is, or how large or strong the hand is that is operating it. This separates the Quickdraw from manual handheld suction devices that are dependent on strength and endurance to deliver effective suction. The SSCOR Quickdraw was developed because we heard from medics in the field of a need for an effective suction device that could easily be carried to the patients’ side. 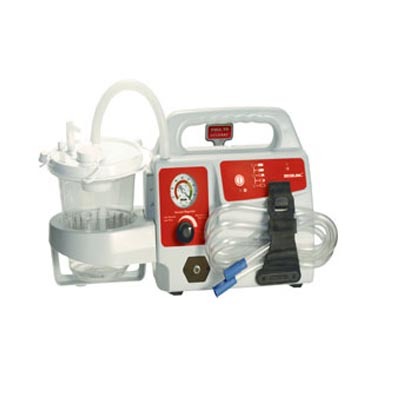 Since SSCOR was established in 1980 we had been making full size suction units. 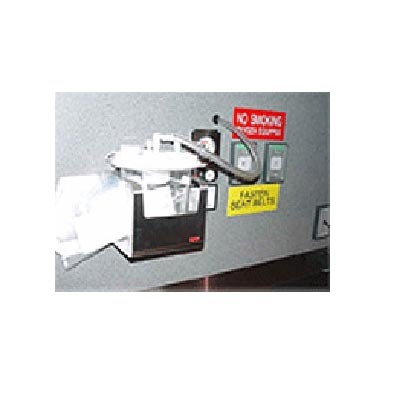 End users always commented they loved the SSCOR suction device, however, due to the size of a full size suction device (often weighing over 10 pounds) it typically was left in the transport vehicle rather than taken to the patient where it was needed. That problem that we heard from the field became the mission of the founder of the company, Sam L. Say. 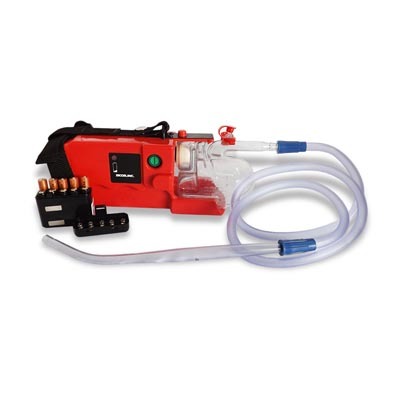 The Quickdraw is the answer to that need – the need for an effective suction unit that is lightweight, fits in an airway bag, and provides strong emergency portable suction. 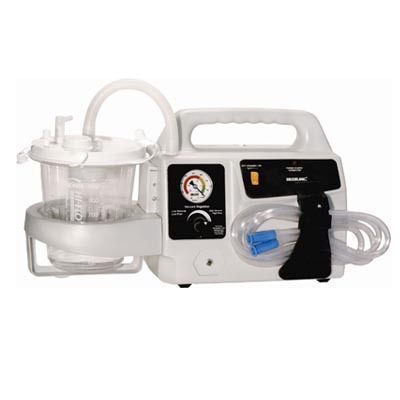 The SSCOR Quickdraw provides suction as efficient as a large aspirator and weighs only 2.6 pounds, small enough to carry in your “first in kit” and taken to the patient’s side where it is needed. It does not need to be carried as a separate piece of equipment to be carried or left behind in the truck.